From start to finish I was hooked on this film. 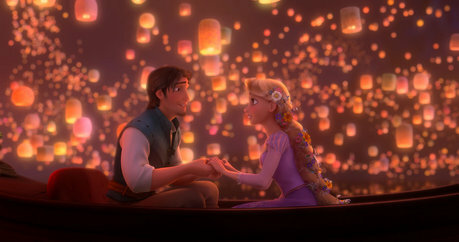 I laughed, I cried, I was amazed by the lantern scene and the characters were brilliant I loved Rapunzel and Flynn Rider aka Eugene Fitzherbert. Brilliant film this should be classified as a masterpiece. :D This is made me smile. I feel the same way about this film, except it's the most amazing movie I've ever seen ^^ Thank God Disney still realises that Animations (especially Disney animatons!) are masterpieces!